Should you be paid for a snow day? With entire stretches of interstate being shut down this winter due to weather, many businesses are, correctly, also shutting down. The most important thing is that everyone keep safe and warm. But missing work doesn't mean your bills stop coming in. What happens to your paycheck? If you're an exempt employee, meaning you are salaried and not eligible for overtime, and the office closes, your company is required to pay you as long as you worked a portion of the week. They can, however, require you to use your vacation days to cover that time off. If you don't have any vacation days in your bank, they still have to pay you. If you're non-exempt, that is, you're eligible for overtime, a company closure may mean a lower paycheck. They are only required to pay you for hours worked and if they are closed, then you're not working, which means no paycheck. You can always ask if you can use a vacation day to cover your paycheck. Bad weather doesn't hit every part of the city equally, so your neighborhood may be completely ice covered, but your office is on the other side of town and is open for business. What then? If you're exempt, your employer can deduct a full day's pay if you do not work at all that day. This falls under the "personal reasons" exemption under the Fair Labor Standard's Act. But, if you need to come in late, or leave early, or are able to be on a phone call from home, or even check your email, that's working and they must pay you for the entire day. If they do not, they risk losing your designation as "exempt" and they will owe you overtime pay for any hours over 40 that you've worked -- in the past and going forward. If you're non-exempt, your employer, again, is only required to pay you for actual hours worked. So, if you can't get in, they don't have to pay you. Can you be punished for not coming in when it's unsafe? Short answer, yes. You can be written up, demoted and even fired for not making it into work, even though the streets are ice covered. Long answer, they certainly shouldn't. Every company should take their employees' health and safety seriously. If it is too dangerous to drive, it's too dangerous to drive. They should make accommodations and plans for this type of situation. That said, there are definitely differences. If you work in fast food, the level of snow storm needed to keep you home should be considerably smaller than if you work at the hospital, even if it is in the cafeteria. Companies that provide essential services (such as hospitals) should have plans for bad weather that include plans for getting staff into the office, or providing places for them to sleep. People don't stop getting sick when it snows. 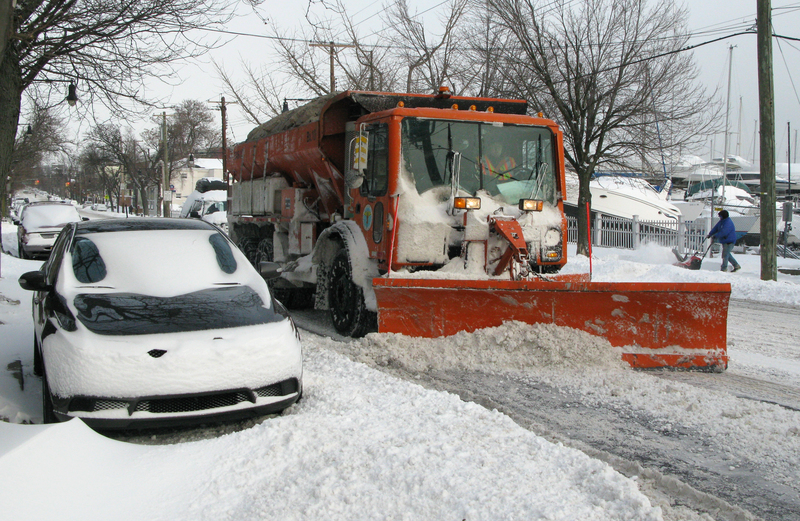 If you don't know what will happen to your paycheck when it snows, ask your boss. Ask very directly, "I do not feel comfortable driving in this weather. Will I be paid? Can I work from home? Can I come in over the weekend to make up the hours?" Listen to the answers and take notes. Thanks for clarifying the bad weather policy. Because it is unsafe for me to travel to the the office today, I will not be coming in. However, I will come in Saturday morning (provided it is safe) and work my full 8 hours. Therefore, my paycheck should be unaffected and no vacation time will be used. In doing this you are ensuring that if you're wrong, she has the opportunity to correct you right away. And, if there are problems later on, you can say, "This was my understanding, and Jane did not disagree with my interpretation."